Woohoo! 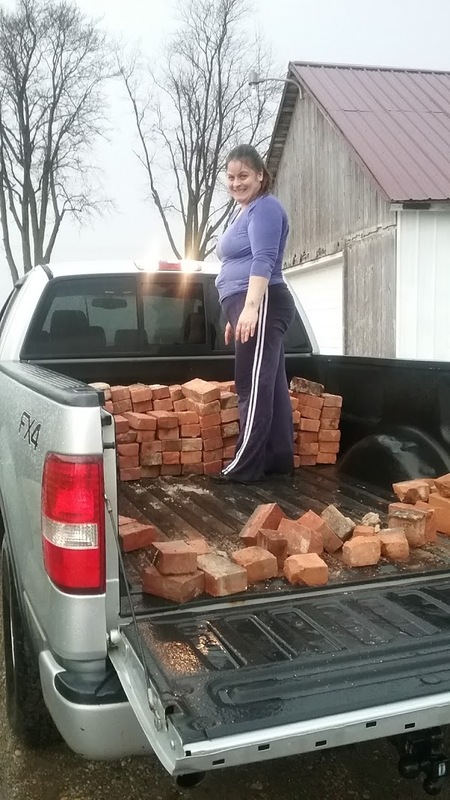 My husband and I got 2 truckloads of free brick from a local FB Yard Sale group for free. We spent 2 evening this week loading the bricks and bring them home to unload. One of the days we loaded bricks in the rain. 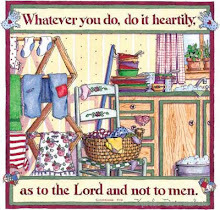 It took about an hour each night to load and a half hour to unload because our boys helped unload. We plan to build a patio in the backyard. The patio may not be built until next summer but at least we got a huge start and didn't have to purchase the bricks. 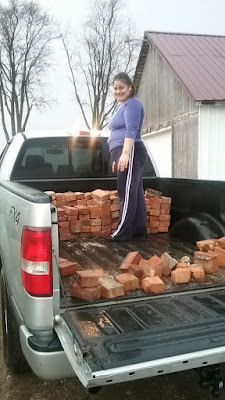 Loading free bricks in the rain from a local FB Yard Sale group member's home. At home our first load of free bricks. Our second load of bricks before we start unloading. Our new brick pile for our future patio.